This is an offering of a six-bedroom bungalow that can accommodate up to twenty people. 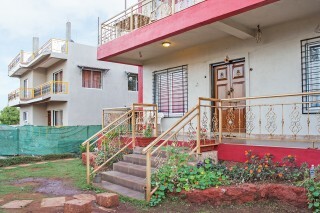 This property has ample parking area, which makes parking convenient for those on a road journey. 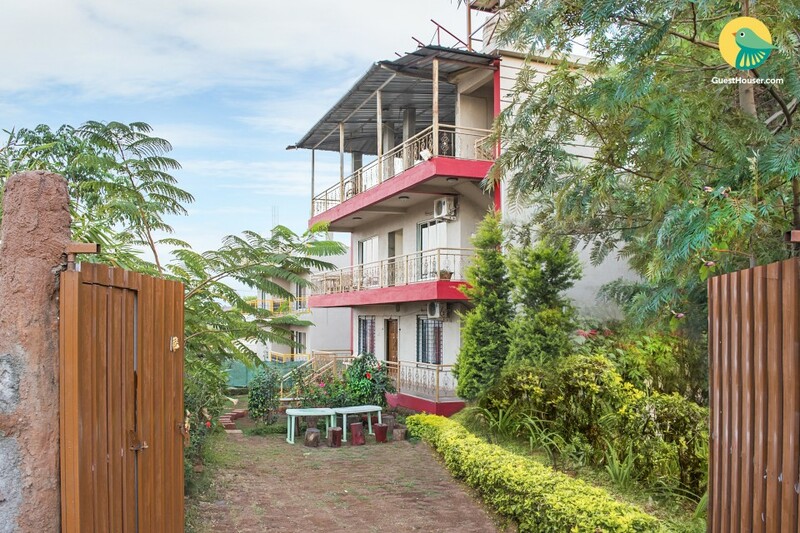 The host offers amenities such as the services of a caretaker, doctor-on-call, and housekeeping, which ensures that you enjoy a restful stay. Your Space Punctuated by luxuriant greenery, this homely abode features a living room furnished with comfy sofas and divans, where you can lounge and unwind. 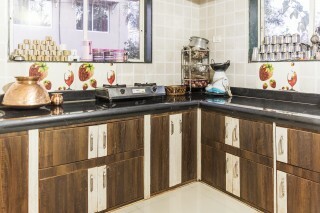 The spacious kitchen has a refrigerator and is equipped with a gas hob and a blender. The rooms are appointed with a comfy double beds, wardrobes, and dressers for dressing convenience. 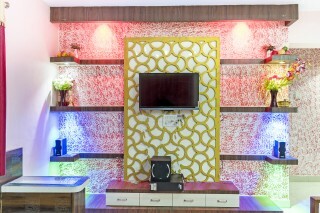 Additionally, televisions are also provided for your entertainment and leisure. The attached bathrooms are well designed and fitted with contemporary sanitary ware. 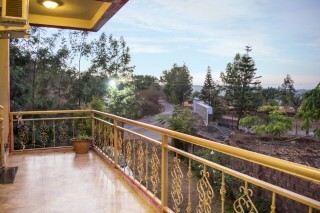 The property also features a balcony, so you can step out and soak up some fresh air while admiring the scenic view. Guests are requested to provide valid ID proof at the time of check-in. 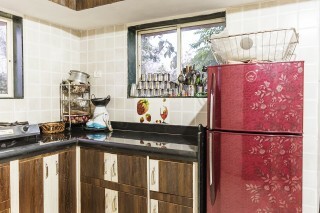 The Bungalow has 4 rooms air-conditioned and 2 non air-conditioned rooms. 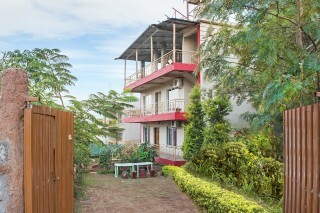 This bungalow is located nearby the Mapro Garden. Some of the easily reachable places from the resort are Mapro Garden 05km (approx. ), Venna Lake 20km (approx. ), Wilson Point 18km (approx. ), Elephant's Head Point 28km (approx. ), Lingamala Falls 11km (approx.) and Kate's Point 12km (approx.). 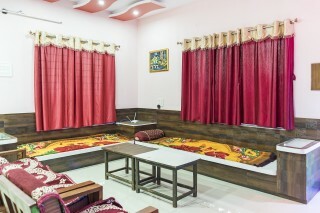 My experience was better than what I expected as all the facilities were just perfect , not just that it was in a good locality too, it was completely value for money trip for me and we enjoyed it really very much. Fully furnished house. NO REGRATS! Pune Railway Station - 110 km.